A resident of Streeterville, Malek is an architect, urban planner and a Realtor who enjoys living in a dense, vibrant and complex city. Being an architect, Malek has extensive experience is designing residential and commercial properties through his past job at I.D. Architecture where he worked on a verity of projects including hotels and residential buildings. Beside Real Estate, Malek is an urban planner with the Streeterville Organization of Active residents (SOAR) leading the traffic & transportation task force and contributing to the planning and real estate committees. Malek is a member of the Chicago Association of Realtors, Project Management Institute, and the American Planning Association, and he has a Masters’ degree in Urban Planning and Policy from University of Illinois at Chicago. Malek helped me sell my condo in November 2015 and he was very professional throughout the process. He provided thorough analysis of market prices, potential listing and selling price and expected cost of sale, which helped me make an informed decision on the listing price and during negotiations. With Malek’s help, we were under contract in 30 days and we sold for higher than any other similar unit in the building. Malek is professional, knowledgeable and always responsive to requests and inquires. 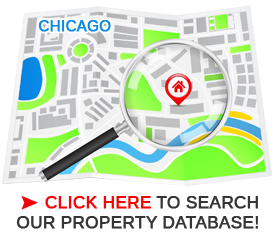 He knows the downtown area of Chicago and the real estate trends that are important to buying or selling a home in a timely manner. He uses his knowledge to effectively maneuver appropriate pricing and his attention to detail is crucial in closing the deal!!! We enjoyed working with Malek! Malek was great!!! We put our condo for rent, and Malek found us a tenant within a week. It was a pleasure working with him. He is professional and easy to work with.